It’s a cliche phrase heard in school classrooms all over the world. But as overused as it is, it’s true - if you don’t do your homework, you won’t have much of a shot at being successful. Sure, you might get lucky once in a while, but you’ll never be able to scale or repeat that success without proper planning. This is especially true in the realm of digital marketing. If you don’t have an in-depth understanding of your clients, their customers, and their competitors, you’ll find yourself far behind the curve. Fortunately, the importance of doing good marketing research, and the complexity involved in actually doing that research, means that it can become a valuable service offering to current and future clients. 1. Account & Persona Identification - This answers two key questions for clients: Who are their ideal accounts, and who will buy from them at those accounts? You can categorize their ideal account in two ways: Financially, which identifies the most lucrative clients, and strategically, which identifies the clients that stand to benefit the most from your service. The deliverable for this type of research is an ideal account profile. With this profile as a roadmap, your clients’ sales and marketing activities become much more effective. 2. Buyer Persona Research - Almost everyone is familiar with buyer personas these days, so I won’t spend a ton of time delving into them. Essentially, you want to identify the information prospects need during the buying journey, how they acquire that information, and what obstacles stand in the way of them purchasing your client’s products. The deliverable here is one or more buyer persona profiles. Competitor Content Strategy - Imagine being able to say to your client, “How would you like to see a breakdown of what your competitors are doing to win business?” Pretty easy to see the value in that - if you have even meager sales skills, it should be an easy deal to close with an existing client. Executing it is a bit more complex. But you can use tools like SimilarWeb and SpyFu to uncover competitor keywords, see what their paid advertisements look like, and understand where they are ranking in searches compared to your clients. 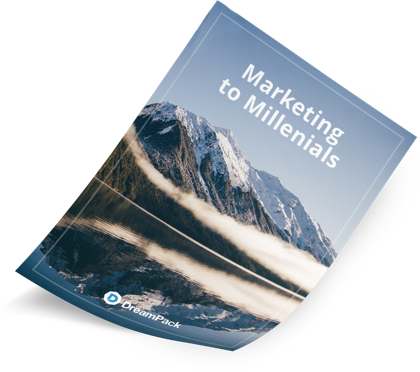 This helps you understand what works, identify gaps in your industry’s marketing, and avoid attempting to compete toe-to-toe on competitors with your strengths. For this type of research, your deliverable is a competitor content strategy, a comprehensive look at your client’s competitors’ messaging, content, and traffic analytics. If you want your agency to stop treading water, consider selling and delivering more strategy packages like these. Or schedule a call with Max to chat about why some agencies get stuck on the hamster wheel and others take off like a rocket ship.